This is an interview I did with Dave Dubyne from ADAPT2030 some time ago. 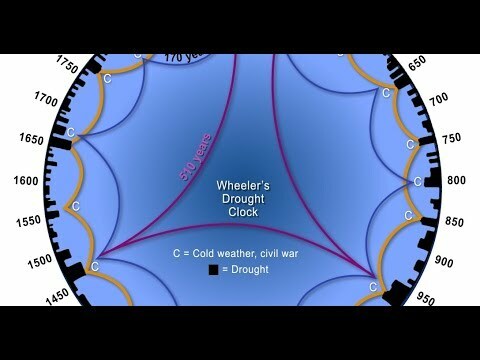 Dave runs a youtube site that is considered one of THE sites to frequent to stay on top of what’s going on with climate now and into the future. Peter Temple of World Cycles Institute discusses the culmination of civilization, economic, society and climate cycles around 2020. This matches the Grand Solar Minimum coolest point around 2023. It’s all about repeating cycles and here is what you can expect moving forward. Previous Post: Same Wheel, Different Hamsters — A Typical 172 Year Cycle.